Hundreds (maybe thousands) of advertising networks exist for businesses to create campaigns and generate potential customers. Businesses are vying for the attention of their marketable audiences online and offline making the decision to find the right networks a burden for marketers. What are advertisement networks and what are they composed of? Advertisement is any promotional activity used to generate interest, awareness, value, and potential customers. Advertisement networks are common tools or relationships where the media buyer purchases ads and the publishers sell the placements. The relationship within advertisement networks is based on there being a media buyer (usually the marketing team in a business who wants to create ads) and the publishers (usually the advertisement network that operates a supply of available placements for the ads). In this environment businesses can run advertisements in networks to target their audiences. Media Buyers – the marketing functions of purchasing advertisement space, running campaigns, and creating demand through promotions. Publishers – the operational functions of selling advertisement space, managing the exchange, and supplying the placements where specific audiences reside. Advertisement networks consist of exchanges for advertising that allows for promoting through online or offline channels. Not all networks have supply in both and it’s very common for advertising networks to specialize based on the types of niche audiences they curate. The reason the channels are broken down into separate groups is every channel has a different and unique way to measure the impact and results of that channels effectiveness. Some channels have results that are so different from each other that they are rarely used together in the same campaigns. Online Channels – The categorical types of promotional marketing and formats of advertisements that can exist on websites, in mobile applications, or in the digital medium of the internet. Offline Channels – The categorical types of promotional marketing and formats of advertisements that cannot exist solely on websites and must exist in different mediums. Step 1: What results am I trying to get? This will suggest the network(s) to use. Results are the goals that your business is trying to obtain and can obtain by using advertisement networks to reach the audiences required by a specific time. The channels are important only when you cannot use the internal resources or capabilities of your business to reach those results in the desired time frame. First Example: If I had ____ more leads per day I could do _____ more business. The above first example highlights the results (X # of additional leads), includes the time frame (per day) and also includes a simplified impact of that result (X $/# more business) for them. This template the best way to begin figuring out which advertisement networks are right for your business. Also start with the desired results and then work back to how you can effectively generate, track, and measure those goals. Second Example: If I had ____ more appointments from patients needing braces per month I could hire an additional _____ for my practice. The above second example highlights the results (X # of additional appointments), is more specific about the type of results (from patients needing braces), includes the time frame (per month), and is very specific about the impact of those results (X additional hires). The more specific you are with the result template the easier it will be for you to narrow down to the best advertisement networks for your business. Results vary by advertisement network – but so do the quantity and quality of the audiences. Quantity Audiences – describes the volume of people that are marketable within an advertisement network and available to the media buyer based on the criteria of the target and scope of who they want to promote to. Quality Audiences – describes the amount of possible segmentations that exist within a publisher’s audiences which allows a media buyer to filter to a more specific audience. In all cases if you increase the quantity of audiences you want to target (adding more people) you will incur added costs. Likewise, if you increase the quality of the audiences through segmenting a more niche audience you will derive a smaller but more specific audience and will incur a higher cost per audience member. While being more specific with tons of filtering criteria allows you to speak to a more homogenous group for higher potential relevance… you are also diminishing your returns by limiting that message to smaller audiences overall. This balancing of talking to specific audiences with a specific message and managing costs per audience member is one of the most exciting and exhilarating aspects of managing marketing campaigns. Step 2: Who am I trying to influence with advertising? Based on the result. 1. Awareness – of your brand, message, position, services, offerings, and ideals. 2. Conversion – to a desired end result or state. Therefore, your advertisement network needs to be able to serve you placements that allow you to do both; increase awareness and generate your desired conversions or results. In order to perform these functions every advertisement network measures the awareness and the conversion components and typically will charge you based on one or both of these. The costs associated with either awareness-based charges or conversion-based charges could be the difference between a profitable and unprofitable advertisement network for your business. Not every advertising network is for every business – even if there are wonderful promises that they will. Start with your target audience of who you want to generate awareness and conversions for. a. Who are my best customers? b. Who will benefit most from my business? Segment your target audiences into homogenous groups (the more distinct the better). Based on the traits above write down the pain that each group is having that your specific offering can solve (help) or alleviate. With this framework, you should have a handful of target audiences that you want to target. Based on the traits you have a pretty good idea of the kind of individuals and groups that make up your audience. Finally, using the pain of each group, you know what to focus your marketing around. This target audience group is older and reads the newspaper emphatically so buying media in the local newspaper where my business serves could be beneficial. This target audience group is mostly women in their 40’s who have kids and would like to be able to buy a car as a family but not be overwhelmed in the process so maybe we position our advertisement as a video to show how amazing our experience is for families (possibly even center the protagonist of the video to be a woman in her 40s). The possibilities are endless and there is no single right answer. The artistic side of marketing can seem daunting to some because you want to get it right and find success your very first time. Heads up on that expectation you will (almost never) find success your very first time and you might not even find it until your hundredth time. Advertising requires being able to fail fast and learn just as quickly. Step 3 – What are the trends? Where can I find the best advertisement networks? Trends for the best advertisement networks vary wildly because some networks have better quantity, better quality, or better integrations. Integrations are important because some conversion results occur outside the ability of the network to track. Advertising networks often rely upon their proprietary platforms or for 3rd parties to build connections to their networks to allow for conversion and result tracking. We absolutely understand this struggle because we are one of the 3rd parties that works with businesses to help bridge the gap for offline conversions such as phone calls, appointments, and their attribution. 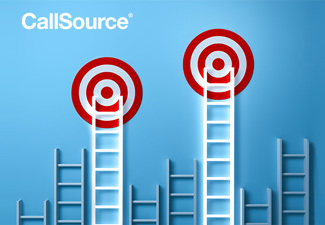 CallSource understands the hardships of tracking phone calls well. Can’t I just ignore the difficult conversions to track and stick with the fundamental ones? Long term performance not only in advertising but in the marketplace will require that businesses adapt and accurately track all of their channels in what is referred to as, “multi-channel” or “omni-channel” conversions. This is when advertisements, promotions, and messages target an audience that will be impacted by multiple channels before they ultimately complete the desired results. Be satisfied with an air conditioning repair company enough to book the appointment. Talk to an air conditioning repair company that can book that appointment. Find an air conditioning repair company. Realize they have an air conditioning problem. In the example above the customer goes through the steps from (#4) up to the point of booking that appointment. In that customer journey it is possible (and likely) that multiple channels will have an impact on them. [In relation to #1 above] Reviews, testimonials, etc. [In relation to #2 above] Phone calls, chats, emails, etc. [In relation to #3 above] Organic search, advertisements, local business listings. [In relation to #4 above] YouTube educational videos, searches online with problem keywords. You should not begin with an advertising network without a plan for tracking and measuring the impact of that promotion. The list above is not exhaustive as there are plenty of advertising networks that are not the most common but could be better for your business. Just because it is popular for businesses around the globe does not mean it will be the best for you. How to evaluate the advertising networks for success for your business? You might not be able to properly evaluate a network before trying it. In those cases, check what your competitors are using and depending on the costs you could test a network over a few months to see firsthand. Often marketing agencies that specialize in your market might have the answers you need and could be worth a consultation. Advertisement success takes time so plan on a long term strategy for using a network that will allow you to scale over time and without being cost inhibitive. Networks that have (as mentioned before) higher quantity, higher quality and better integrations for your marketing stack are the basics. How reliable the tracking is for both the Awareness function of the advertisements and the Conversion functions of the results. Take this with a grain of salt because some channels are inherently difficult (almost impossible in some cases) to track but can still have an impact. Determine this criterion by weighing the reliability as a risk against the cost and benefits of advertising in this network. The agility and speed of optimizing, testing, and changing promotions within that advertising networks. Some businesses run ads and then need to pull them because of errors but not all networks allow for this as quickly as they’d like. The availability of guides, education, and insights into the advertising networks which can allow you to easily learn and figure out how to maximize that platform. The amount of setup time and effort that is required to begin. Some advertisement networks require you to build extensive marketing campaigns, elaborate messaging, and complex tracking to even start. Unless you are ready for scaling or for this kind of marketing, consider this as an early risk. Last but not least… the privacy and regulatory conditions you operate in. Due to GDPR, local/federal/country laws some advertising networks just do not make sense. Relationships with companies can often limit the networks you can advertise in simply because of a binding agreement in a contract. Make sure you follow all laws and rules. First, you need understand what an advertising network is and how it can be composed of both offline and online channels. Every channel can be comprised of multiple types of formats and mediums which allow the advertisers (media buyers) to purchase advertising placements from the suppliers (publishers). Be strict and evaluate the advertising networks from a position of making sure that your business interests are taken care of and that you are capable of tracking and measuring every component of your customer journey (both online and offline as needed). You can have advertising networks compete against each other but it is strongly discouraged to pit different channels against each other due to the trouble of holding the correct variables constant in a true comparison (just don’t do it). Test, test, test over time using the evaluation criteria listed above. Talk to marketing agencies and industry experts to learn the trends and networks that are performing well.